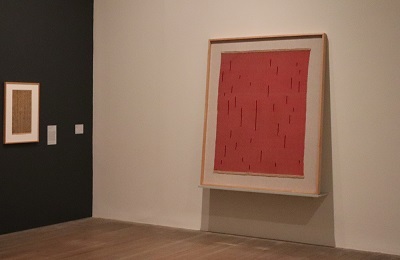 Tate Modern presents the UK’s first major retrospective of the work of Anni Albers (1899–1994). This exhibition brings together her most important works from major collections in the US and Europe, many of which will be shown in the UK for the first time. 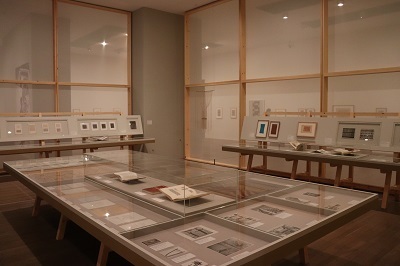 Albers’ work is not widely known and the exhibition explores the artist’s role in the Bauhaus movement and provides some recognition of Albers’ contribution to modern art and design. The exhibition features over 350 objects including small-scale studies, large wall-hangings, jewellery and textiles designed for mass production. Born in Berlin at the turn of the 20th century, Annelise Else Frieda Fleischmann became a student at the Bauhaus in 1922, where she met her husband Josef Albers and other modernist figures like Paul Klee. She was discouraged to pursue a painting career but found that weaving textiles was a medium in which she excelled. 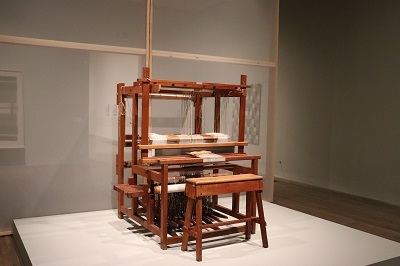 It was within the Bauhaus weaving workshop that traditional hand-weaving began to be redefined as modern art. 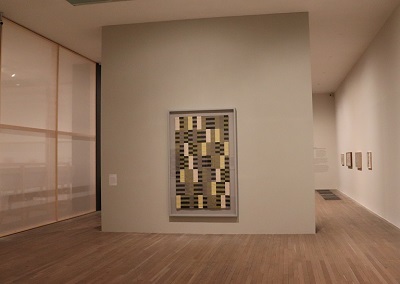 The first room brings together the UK’s largest grouping of Albers’ weavings designed during this period, such as Wallhanging 1924 and Black White Yellow 1926, alongside studies, textile samples and works by Albers’ contemporaries, including the head of the Bauhaus weaving workshop Gunta Stölzl (1897-1983). The creative crucible of the Bauhaus was curtailed with the rise of Nazism and Albers left Germany in 1933 for the USA where she taught at the experimental Black Mountain College for over 15 years. While she was at the college, she made frequent visits to Mexico, Chile and Peru, and amassed an extensive collection of ancient Pre-Columbian textiles. Influenced by this collection, Albers began to create a series of ‘pictorial weavings’ including With Verticals 1946, Epitaph 1968 and Tikal 1958. The artist began to explore the relationship between textiles and architecture illustrated in her seminal essay ‘The Pliable Plane: Textiles in Architecture’, 1957, in which Albers advocates the use of textile for decorative and functional spaces. 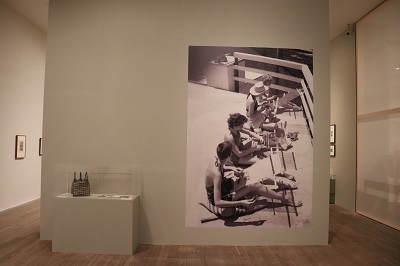 In this section is works created for the Harvard Graduate Center, the Rockefeller Guest House in New York and Rena Rosenthal’s Madison Avenue store. 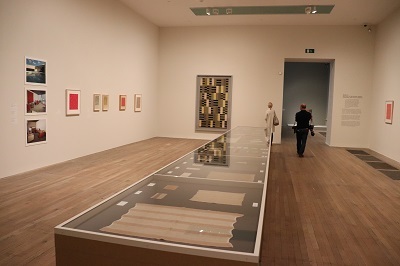 One of the highlights of the exhibition is Six Prayers 1966-67, Albers’ moving memorial commemorating the six million Jews who died in the Holocaust, commissioned by the Jewish Museum in New York. 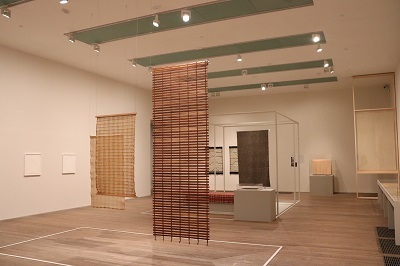 In the final rooms of the exhibition, there are a number of works that illustrate Albers’ writings such as ‘On Designing’ 1959 and ‘On Weaving’ 1965, in which she considers the history of weaving as a global phenomenon, going back thousands of years. 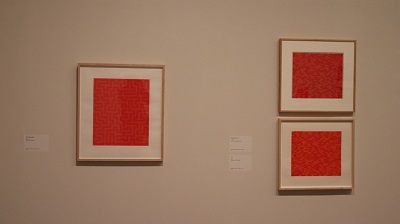 Working from this long tradition, Albers’ work often pays homage to the past, yet is modern and original. Late works such as TR II 1970 and Red Meander I 1969-70 reveals her constant experimentation and development of her art. 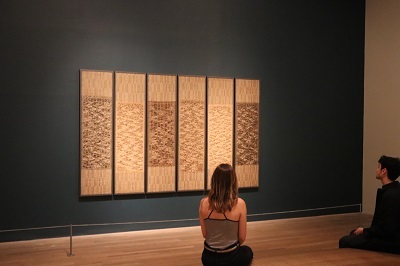 This exhibition introduces the work of Anni Albers to a wider audience and raises a number of questions about how certain mediums are generally ignored by the wider art establishment. Albers work in the Bauhaus was part of a process that would allow traditional hand-weaving to be redefined as modern art. This process is still ongoing with the often blurred lines between art and craft both in the past and the present. 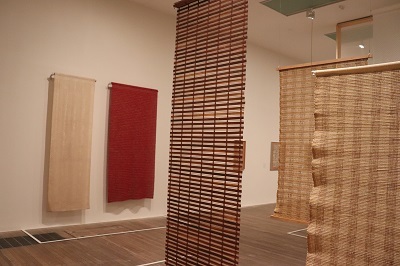 Tate Modern are committed to showing artists working in textiles and Anni Albers provides a wonderful introduction into the medium. Her works and intellectual approach to the medium was to define it as modern art, it has just taken a long time for the art establishment to begin to define it in the same way.